We are a married couple who, before leaving on this adventure made our home in a great little apartment on a tree-lined street in Boston's South End. We both worked in television news as reporters for local tv stations in Boston: Garvin at WHDH-TV (Channel 7) and Karen at WBZ-TV (Channel 4). We were married on September 22, 2001 up in lovely Bar Harbor, Maine. Karen is originally from California (San Mateo Park in the Bay Area and Templeton on the Central Coast) and has degrees from Mills College in Oakland and Boston University's Graduate School of Journalism. 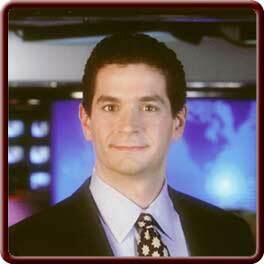 Garvin grew up in Yarmouthport, Massachusetts on Cape Cod and graduated from Boston College in 1988. He's been working in television since 1989 with stints in Minneapolis, Minnesota (WCCO-TV) and Berlin, Germany (Monitor Broadcasting) before returning to Boston. We are both active people who try to get outdoors to run, hike or just walk at every available opportunity. Karen plays piano, guitar and sings; Garvin does crossword puzzles and anything he thinks will help him live to be 100.